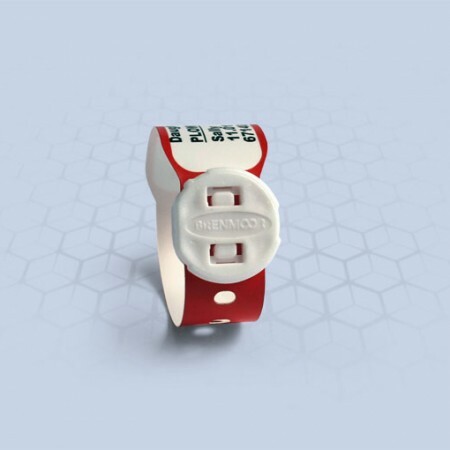 BRENMOOR’s BABYSOFT 250N paediatric hospital wristband is a narrower version of the popular Babysoft 250. 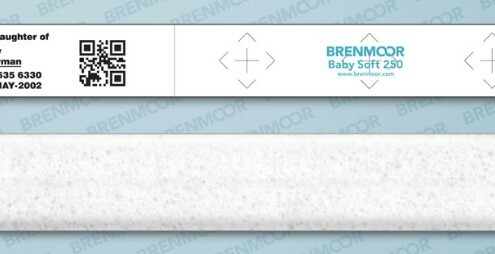 BRENMOOR’s BABYSOFT 250N paediatric hospital wristband is a narrower version of the popular Babysoft 250. At only 20mm wide it is made up of 2 parts that are easily and quickly assembled. The design ensures that only closed cell sponge blown ultra-soft plastic is in contact with a baby’s delicate skin. The closed cell sponge does not absorb any moisture. Available in white, red pink and blue as standard (with options for more colours – contact us with your specific request), they still offer the same high quality printing of text, barcodes and images without the requirement for expensive ribbon or inks. 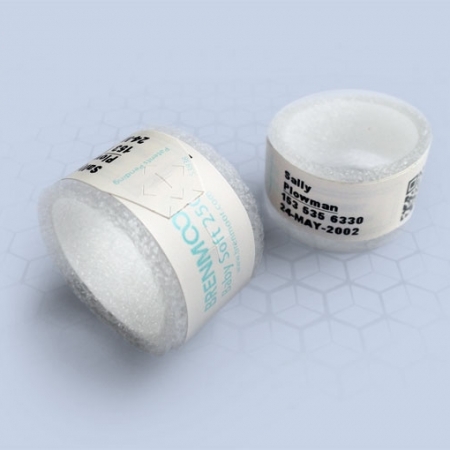 Once printed the bracelet is completely resistant to water, soaps, alcohol and all common chemicals used in hospital wards, theatres and laboratories to reduce the threat of patient infections. They wristbands will sit comfortably in a newborns wrist or ankle. Security slits and the innovative design mean that the wristband is ultra-secure and cannot be removed without the wristband appearing damaged. They have been designed for use in the majority of common, direct thermal transfer printers including Zebra’s 2844, 2824 & G-Series ranges, as well as most TEC, Citizen, TSC, Maxatech, Intermec, Brother and Avery models. As with all other BRENMOOR products, they are designed to accept GS1 standard barcode formats. 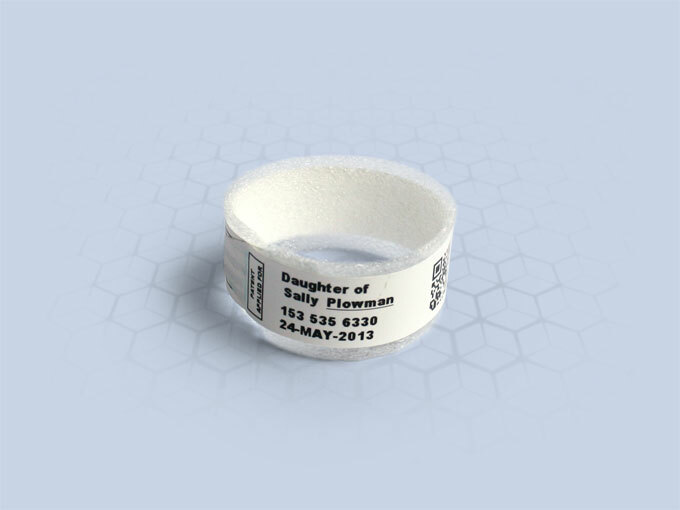 Our complete range of adult and childs hospital wristbands can all be printed using common direct thermal transfer printers including Zebra, Citizen, TSC, Intermec, TEC, Brother & Avery. 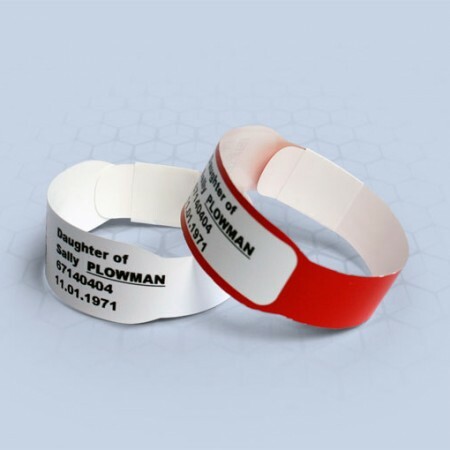 We carry stocks of all of our popular ranges of hospital wristbands allowing us to fulfil over 90% of customer orders within 24 hours. 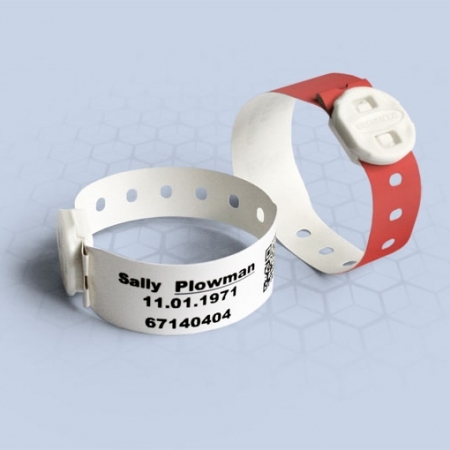 A selection of images of the BABYSOFT 250N slim self-adhesive extra-soft babies printed hospital bracelet are available to view and download below.